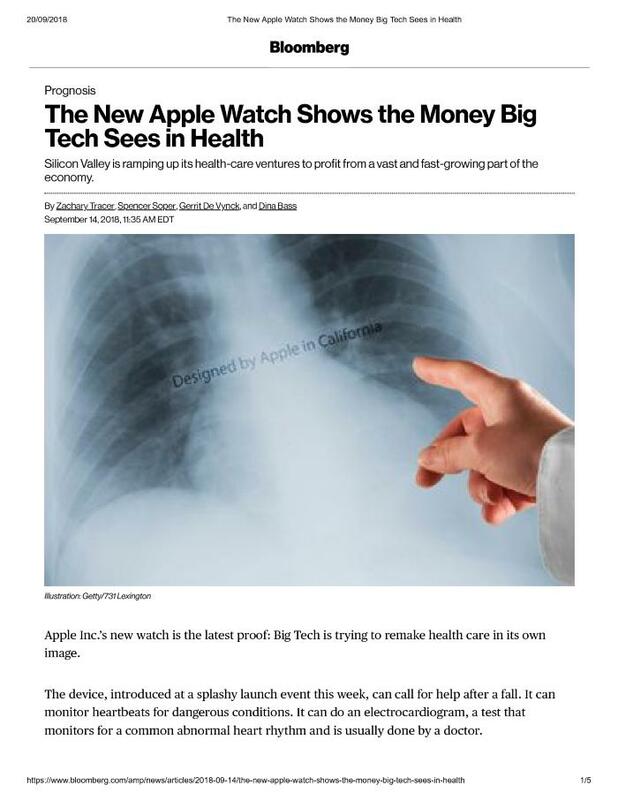 Apple Inc.’s new watch is the latest proof: Big Tech is trying to remake health care in its own image. The device, introduced at a splashy launch event this week, can call for help after a fall. It can monitor heartbeats for dangerous conditions. It can do an electrocardiogram, a test that monitors for a common abnormal heart rhythm and is usually done by a doctor.